Given the tremendous harm that a cut of this size would cause to adult education programs and students across the country, NCSDAE (National Council of State Directors of Adult Education) and COABE (Coalition on Adult Basic Education) are launching a national advocacy campaign to ensure that members of Congress do not approve this devastating cut. The message for this campaign is INVEST IN ADULT EDUCATION. 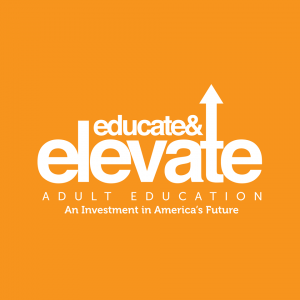 Each of us as adult educators, students, and friends of adult education have the responsibility to take swift and decisive action to ensure that the proposed cut is not enacted. The campaign will be carried out through the advocacy networks set up by both organizations. Working together we can ensure that the voices of our students from across the country will be heard throughout the halls of Congress. When Congress enacted WIOA it voted overwhelmingly for specific funding levels for each year of WIOA’s existence. Their suggested funding level for FY18 is $649 million for Adult Education.